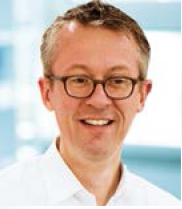 In a study published in 2005 on monolithic molar crowns fabricated using VITABLOCS ceramics, associate professor Dr. Andreas Bindl of the Dept. for Computer-Aided Restorative Dentistry at the Center of Dental Medicine of the University of Zurich, who also has a practice near Zürichberg, Switzerland, determined clinical success rates of up to 94.6 % over an observation period of up to 6 years.1 In this article he now describes his clinical experience based on the findings of a current follow-up evaluation. 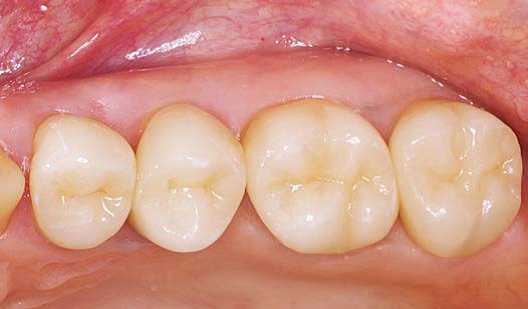 We have been using VITABLOCS for many years for single-tooth restorations, from inlays and onlays to veneers through to partial crowns and crowns. Patients who were fitted with a CEREC crown made from VITABLOCS ceramic from 1995 to 2005 are currently being called for follow-up evaluation in order to investigate the clinical performance. Investigation and evaluation – e.g. based on the USPHS (United States Public Health Service) criteria and on the gingival situation – have not yet been concluded. However initial examination of the data that has been collected indicates results ranging from good to excellent. Thanks to the considerable homogeneity of the material and the effective polishing related to this, experience has shown, for example, that a low level of plaque accumulation is observed. 1 Bindl A. et al., "Survival of ceramic CAD/CAM crowns bonded to preparations with reduced macroretention geometry." I J P. 2005 May-Jun;18(3): 219-24. IMPORTANT! Please make sure to specify the source where this was first published! Source: DZW ZahnTechnik, 11+12/2014, Germany. Based in Bad Säckingen, Germany, VITA Zahnfabrik H. Rauter GmbH & Co. KG has been developing, manufacturing and selling consistently high-quality innovative solutions for dental prosthetics for over 90 years. Users in over 125 countries benefit from the analog and digital product solutions manufactured by VITA for shade determination, shade communication, shade reproduction and shade verification, which are accompanied by a comprehensive range of service options. In the last 90 years, the interaction between tradition and innovation has transformed dental visions into reality, with VITA Zahnfabrik playing a fundamental role in shaping the future of dentistry.